Fencing means a lot of hard work and a lot of training without your fencing gear, doing your legwork, hitting the gym, running and stretching. 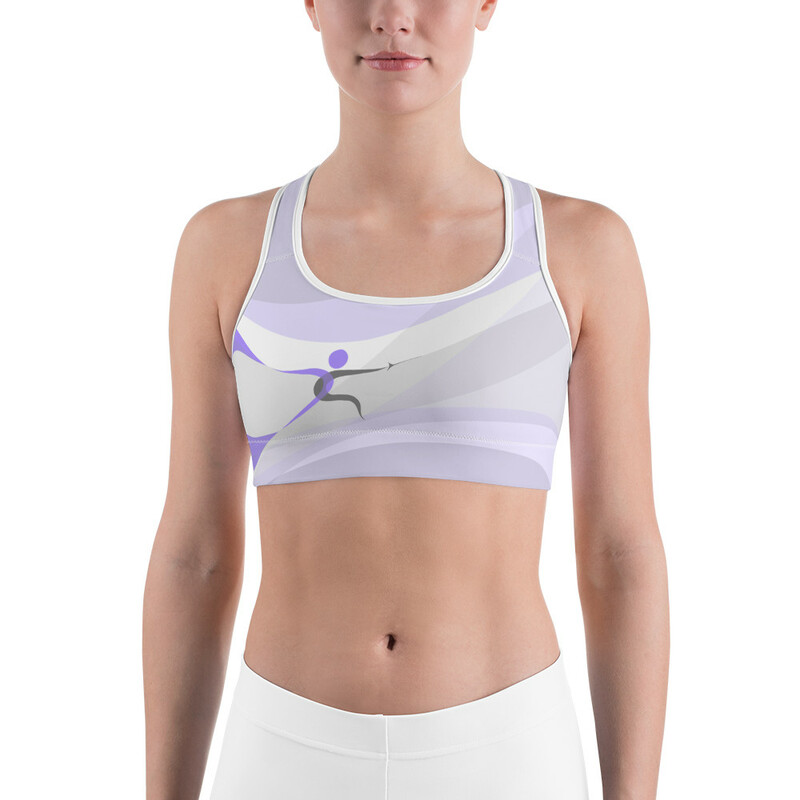 This sports bra is perfect for any “dry land” training, it’s wavy pattern blends into a fencer figure adding a subtle yet visible reminder about your favourite sport. 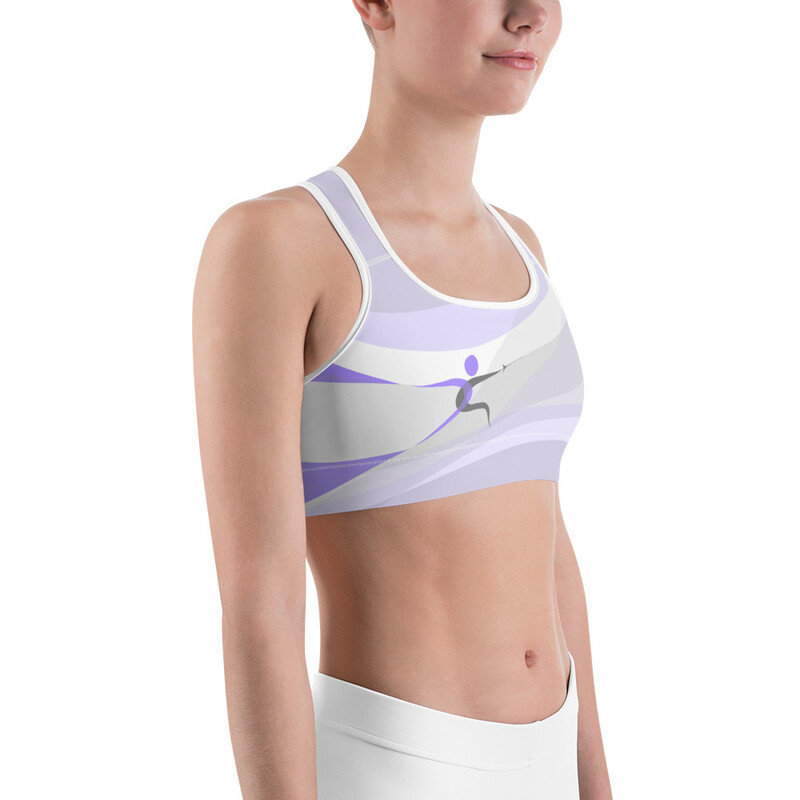 It is made from moisture-wicking material that stays dry during low and medium intensity workouts. 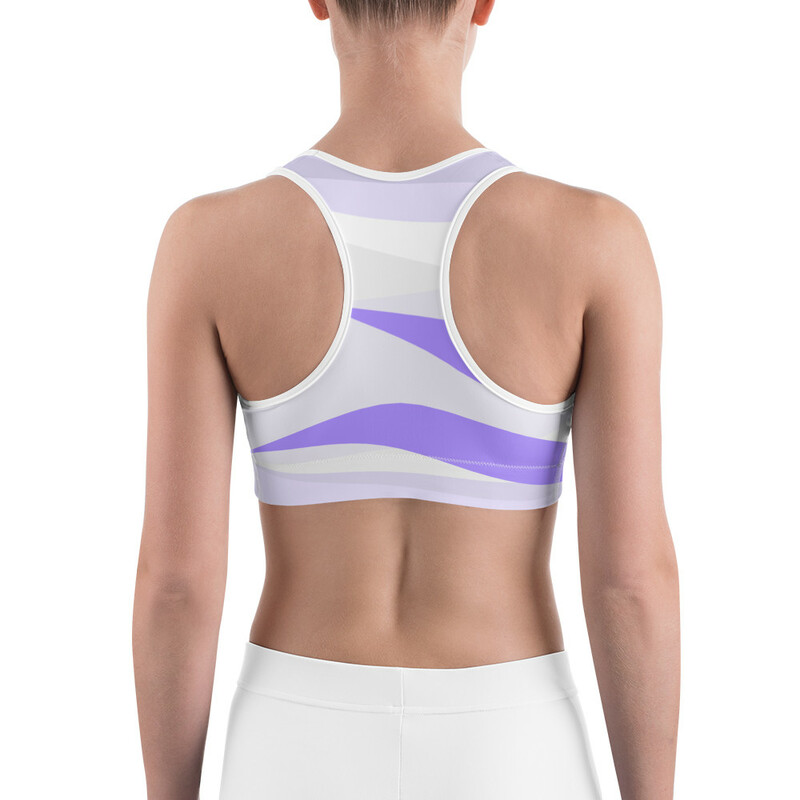 The bra has support material in the shoulder straps, double layer front, and a wide elastic band to ensure constant support.